Marshawn Lynch might have purchased that Lamborghini Aventador a bit prematurely. 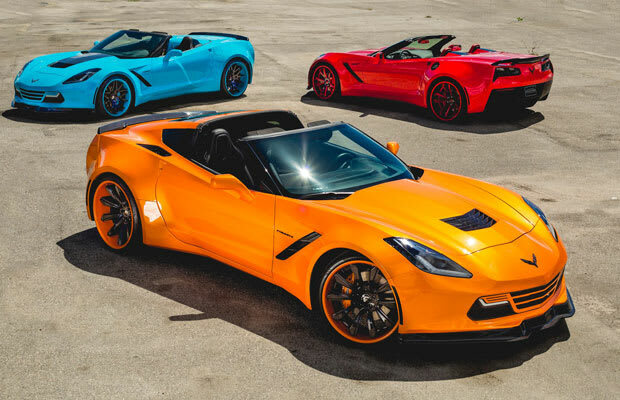 Seeing as these three mouth-watering wide-body C7 Corvette Stingrays by Forgiato Wheels look exactly like something that would cascade out of a bag of Skittles, they would have been perfect for Mr. Beast Mode. On the orange &apos;Vette, you see the Forgiato F2.04, on the baby blue &apos;Vette, you see the Artigli-ECL, and on the red model, you see the F2.19 rim. BRB, going to wipe the drool off our chins.